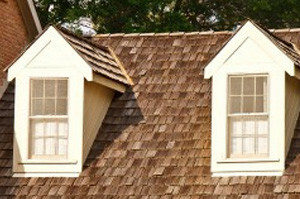 Shingled Roofing | Cedar Shake Roofing | Slate Tile RoofingNaperville Exteriors, Inc. is well known for being the leading roofing company throughout the Greater Chicago Metropolitan Area. Although we have been directly involved in roof installation on residences and businesses since 2002, our company is recognized as having more than 20 years of experience in the roofing industry. Consequently, customers understand that whenever they do business with our roofing company, they are working with an honorable company with a lengthy history of affordable roof installation. While our professional roofing contractors are involved with roof repairs and roof replacement, our customers are confident that they will receive the best roofing work in the business. Like any other team effort; the more the team practices, the better they perform. As a result, customers are interested in having the top-notch team of Naperville Exteriors, Inc. on their roofs rather than anyone else. Certainly, Joliet customers are not interested in having their roofing serving as a “proving ground” for a roofing company. This is why Joliet residents always choose the expert roofing contractors at Naperville Exteriors, Inc. over the competition. Naperville Exteriors, Inc. is well known for being the leading roofing company throughout the Greater Chicago Metropolitan Area. Although we have been directly involved in roof installation on residences and businesses since 2002, our company is recognized as having more than 20 years of experience in the roofing industry. Consequently, customers understand that whenever they do business with our roofing company, they are working with an honorable company with a lengthy history of affordable roof installation. While our professional roofing contractors are involved with roof repairs and roof replacement, our customers are confident that they will receive the best roofing work in the business. Like any other team effort; the more the team practices, the better they perform. As a result, customers are interested in having the top-notch team of Naperville Exteriors, Inc. on their roofs rather than anyone else. Certainly, Joliet customers are not interested in having their roofing serving as a “proving ground” for a roofing company. This is why Joliet residents always choose the expert roofing contractors at Naperville Exteriors, Inc. over the competition. As a highly regarded roofing company, Naperville Exteriors, Inc. is well-known for its craftsmanship and its customer satisfaction. We are also seen as having the most substantial, family-friendly work ethics. Our customers know excellence when they see it! And, they see it in Naperville Exteriors, Inc. We have constructed our roofing business on the premise that your family always comes first with us. Therefore, you can rely on us to remove all roofing debris from your roof installation project. Further, we are also known for always placing the safety of our clients and their families as our top priority. It is high time that you get in touch with Naperville Exteriors, Inc. For your FREE estimate, call us, today, at: (630) 254-4831. We are here to help you!